It all started with an itch and an idea! I was inspired to create my own natural, safe, and effective products for personal use before I gave birth to my first child. Never did I dream that a schoolyard lice infestation would launch an entire company of family-friendly natural products, but it unexpectedly did. What started as late-nights full of research and testing to find safe non-toxic alternatives to the harsh formulas already on the market, is now a mom-approved natural lifestyle brand that fully discloses all ingredients in every product. Logic Products are made entirely in the U.S.A. using only plant and mineral based ingredients that do not harm people or the earth. Our eco-friendly product lines include Natural HomeLogic, TotLogic, BarkLogic and LiceLogic and are available nationwide. We guarantee our products are safe and effective so you can focus on what’s really important, your family. Today, my idea is a promise: To keep our products pure, simple and authentic. As a mom of two now, I am on a mission to spread the benefits of using natural products that make sense. Please join me on this journey to bring the logic back into the products we use on our children, in our homes, and on our pets. Do not hesitate to contact me directly through email or Twitter with your questions, concerns, or comments. I look forward to hearing from you and responding to you personally. TotLogic Sunscreen is made from 20% natural zinc oxide and is infused with soothing extracts of arnica, white tea, chamomile, and lavender along with nourishing hyaluronic acid, aloe, and jojoba. 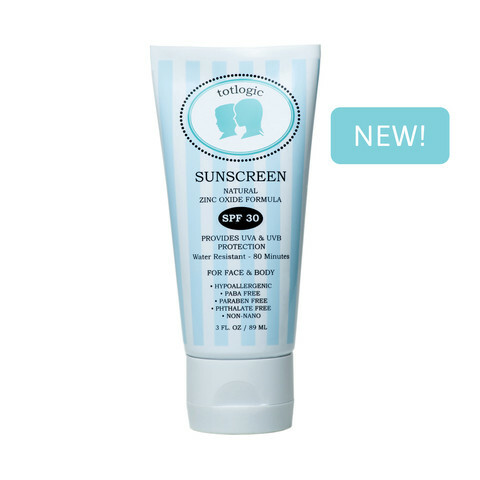 Our TotLogic sunscreen is hypoallergenic, paba free, paraben free, phthalate free, and can be used on the face and body. Our non nano formula provides UVA & UVB protection and is water resistant for up to 80 minutes. Sulfate-Free & Natural Baby Shampoo. 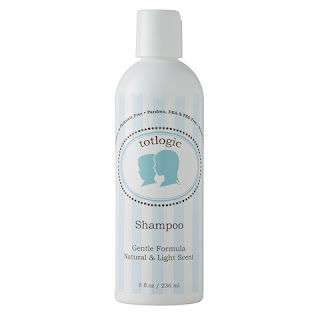 TotLogic Baby Shampoo is a natural plant based and sulfate free formula that is gentle on both the hair and scalp. TotLogic Baby Shampoo will cleanse delicate hair yet it is non-stripping and drying and will rinse away cleanly leaving all hair types residue free. For all those in search of a shampoo that will leave hair naturally clean, manageable, and shiny, and one that is safe for delicate skin this is the baby shampoo for you. TotLogic Baby Shampoo is not only perfect for babies and toddlers, the entire family can use it too. Take care of your baby's skin and keep it pampered and fresh with our paraben free TotLogic Body Lotion. It's made with moisturizing plant-based botanicals that absorb easily and hydrate the skin naturally, keeping all skin types soft and nourished. 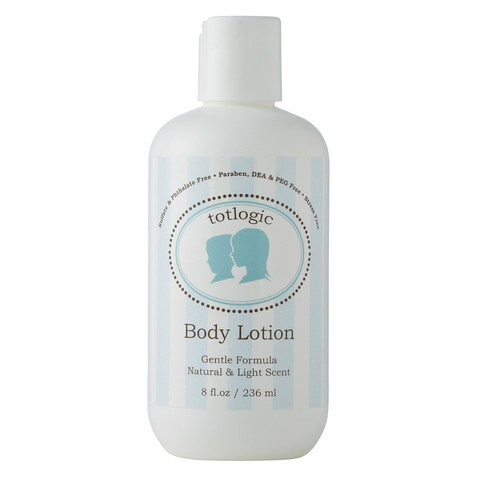 TotLogic Body Lotion's naturally light, uplifting, and refreshing scent will also put a smile on your baby's face and yours. Logic Products TotLogic line is just perfect for babies and kids! TotLogic Sunscreen is made of all natural zinc oxide and is a broad spectrum SPF 30. I love that is protects my kids from the sun without any of those harsh chemicals found in other children's sunscreens. My kids have used this several times now and it works great in this Arizona sun! The TotLogic Baby Shampoo is a natural plant based sulfate free formula so again, no harsh chemicals. This shampoo doesn't strip hair's natural oils and I found it to help with tangles. TotLogic Body Lotion is so smooth and absorbs into the skin quickly without feeling greasy or sticky. I have to admit that even I enjoy using this lotion because it hydrates so well. A sparkling bathroom is a point of pride for any self-respecting homeowner. But those harmful chemicals still lurking in so many bathroom cleaning products today just have to go! Many bathroom cleaners can cause irritation to the throat, skin, and eyes and will linger in the air long after use. Not our Natural HomeLogic Bathroom Cleaner. Our natural and safe bathroom cleaning spray is made with non-toxic ingredients that provide a naturally powerful clean, but thankfully without the dangerous fumes, artificial chemicals, and the associated residue those caustic ingredients leave behind. 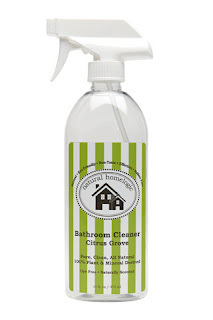 For a friendlier, more enjoyable, and peaceful bathroom cleaning experience use Natural HomeLogic Bathroom Cleaner to target soap scum, grime, and dirt effectively and safely, as often as needed. It is time to keep your bathroom glistening in style the natural and non-toxic way. Refreshingly and lightly scented with our natural Grapefruit scent directly from the grove. Plus, like all Natural HomeLogic products, our Bathroom Cleaner is hypoallergenic, formulated for people with sensitive skin, and is 100% plant or mineral derived. Many brands use harsh ingredients in their liquid dish detergents, but our Natural HomeLogic Liquid Dish Soap beats to its' own drum. Gentle on the skin yet powerful enough to cut through even the toughest grease, a little goes a long way with our concentrated formula. So get ready to bathe your dishes in a sink full of luxurious bubbles. 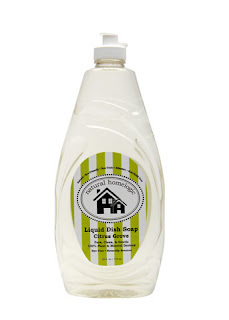 Our Natural HomeLogic Liquid Dish Soap is also hypoallergenic, gluten free, SLS and SLES free, and formulated specifically for people with sensitive skin. All Natural HomeLogic products are 100% plant and mineral derived and do not contain artificial dyes or fragrances. Dirt happens and stains do too, and dirty laundry is a fact of life. Most supermarket detergents can have harsh chemicals and artificial brighteners and dyes that can harm clothing and the environment and be harsh on the skin too, so this is why we created our concentrated 3 X Sulfate Free Natural HomeLogic Laundry Detergent. 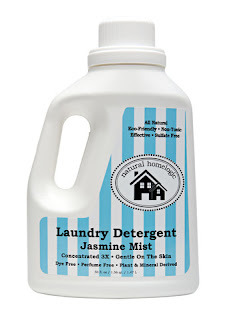 Our 100% plant and mineral-based formula will leave your clothes clean, fresh, and residue free. Refreshingly and naturally scented with a light Jasmine Ylang-Ylang scent, our Natural HomeLogic Laundry Detergent is eco-friendly and can do up to 40 loads per bottle, depending on the size of the load. A little definitely goes a long way with this powerful Laundry Detergent. Logic Products HomeLogic products work great! Natural HomeLogic Bathroom Cleaner is all natural and smells wonderful. I'm amazed out how well it cleans my tubs and showers! I particularly like how well it tackles the soap scum in my shower. 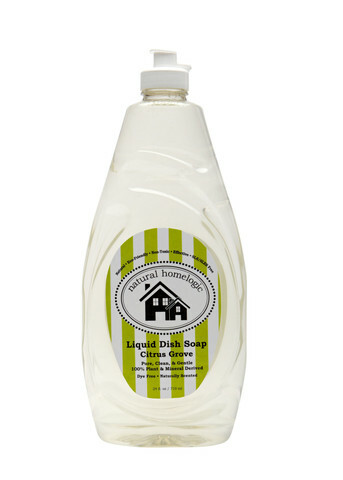 Natural HomeLogic Liquid Dish Soap cleans dishes with ease. It is all natural, smells wonderful and I love that it doesn't dry my hands out. 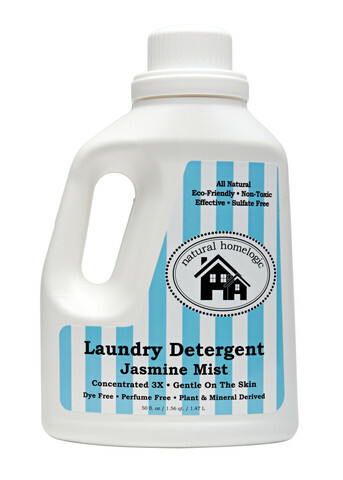 Natural HomeLogic Laundry Detergent contains no harsh chemicals, artificial brighteners or dyes. My kids have pretty sensitive skin and since I've started using Natural HomeLogic Laundry Detergent they have less irritation. I'm also amazed at how well my it cleans my clothes and it smells wonderful! Follow Logic Products on social media!